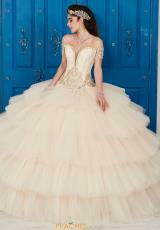 Absolutely stunning Tiffany quinceanera ball gown 24036 features a gorgeous off the shoulder sweetheart neckline. 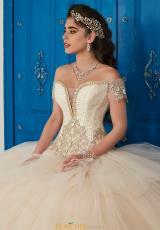 Gorgeous embroidery and beadwork throughout the bodice will add some shimmer to your night. 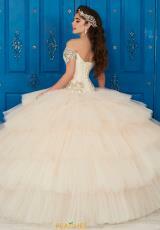 A waist cinching corset back leads into a full tulle skirt. 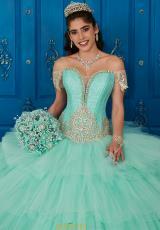 Shop more Tiffany quinceanera dresses at Peaches Boutique in Chicago.